It's important to learn from other churches without becoming a cookie-cutter copy of them. The church I pastor isn’t like your church. If it was, one of them would be unnecessary. Our church probably shares many traits with yours. Starting with core biblical theology, I hope. But we are uniquely us. And you should be uniquely you. Here’s a short metaphor that explains why. I have a friend who plays in a country/blues cover band. Every week they get on a small stage in a small restaurant to play live music for a small, but enthusiastic group of fans. A few blocks away, there's a club that does karaoke. They pack people in like crazy. Why doesn't the owner of the restaurant take notice of what's happening on the other side of town and switch to karaoke to increase his crowds? Is he selfish? Is he stubborn? Is he stupid? He runs a live music restaurant. Not a karaoke club. He knows what he is and what he's not. 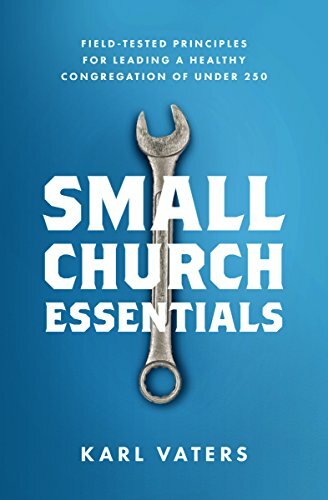 No one ever built a great business – or led a great church – without knowing what they are and what they’re not. Sure, he could switch to karaoke. He might get a bigger crowd that way. But he might not. Because that's not who he is. It's not what he's supposed to be doing. Besides, people who like karaoke are already being served by the karaoke club. He has the only stage in the area that's open for live, local music. Church growth experts love to teach us how to draw bigger crowds by showing us how they did it. This comes from a sincere desire to help other churches and to expand the kingdom of God. I'm grateful for that. And I've learned a lot of good things from them. But there’s a limit to what they can teach me, because they're running a karaoke club, but the church I pastor is a live, local music restaurant. My church doesn't look like their church. And it never will. They preach, teach and live the gospel in their way. It's a way that appeals to a large segment of the population. But it doesn't appeal to the segment of the population that God has given our church to reach. But My Church Doesn’t Do Karaoke! Imagine if the owner of the karaoke club decided to hold a conference for local business owners on how to increase their customer base. The live music restaurant owner might be able to learn something from it. But there are some things that wouldn’t translate.